Thanks, Mail Carrier | Kmart Playdate Place Overall Thoughts: Thumbs Up! Somehow I blinked and it is nearly the middle of July. How is it possible that the days seem to keep going by faster and faster? With all that we have planned in the upcoming month and a half, I have no doubt that it will be autumn before I know it. However, until that happens, we are still going to make the most of our summer and the fun that we will have with our family and friends. And a perfect example of that is the amazing outdoor playdate that we were able to host recently thanks to the playdate planning tips and information that I found when introduced to Kmart Playdate Place. With so many ideas laid out to inspire parents to easily plan the perfect playdate, Kmart Playdate Place is a resource I will be returning to time and again. Beyond just this summer (although there is a great article on Summer Playdates), I'm looking forward to finding help and ideas that will be useful all year long. What happens in the fall when I need to come up with ways to be both indoors or outdoors? Or when the kids are finally tired of having peanut butter and jelly sandwiches and I am struggling to come up with what else to pack? What if we meet some new friends and want to invite them over but their ages aren't the same as those in our current group? Who knew there was so much to think about when it came to playdates? However, after reading through the information from the panel of expert parents and bloggers at Kmart Playdate Place and then finding out just how fast and easy it was to shop for toys right online, I really was impressed with the simplicity and convenience of it all. Ideas, tips, and shopping right at your fingertips to ensure you and your kids have a great time? What is there not to love? We had a wonderful experience with Kmart Playdate Place and now I know that I can return there to find ways to involve my children in fun, constructive playtime with their friends anytime. 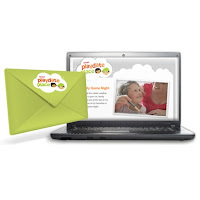 If you haven't yet, be sure to check out Kmart Playdate Place (you can even sign up to receive their e-newsletter for great information, special offers, and the chance to win fun prizes) as well as connect with them on Twitter. It's two thumbs up from us! This post is part of a shop that has been compensated as part of a social shopper insights study for Collective Bias, however, all thoughts and opinions are my own. Great idea! I am so that mom that is disappointed when they don't entertain themselves...Oh Boy! Following you over from Relax and Surf, hope you can stop by! So fun! Can't wait to check this out!